Gabe is the former Commissioner of the Chicago and Washington DC Departments of Transportation. In both cities he revamped technology platforms and government processes while focusing on putting people first vs. automobiles on city streets. This included launching two of the first and largest bikeshare systems in the U.S. and building protected bike lanes and better pedestrian infrastructure for vulnerable citizens citywide, as well as facilitating private services like carshare and rideshare that could help each cities mobility goals. In Chicago, Gabe worked to bring a new Riverwalk to the city as well as the breathtaking Bloomingdale Trail, hundreds of miles of bike lanes, new policies combined with technology solutions to revamp parking, permitting, and many other arcane government processes. Gabe honed his creativity and leadership skills working in business, including Zipcar, where he served as Vice President, Bikes USA as national Director of Stores and his own electric powered, organic food truck chain, On The Fly. 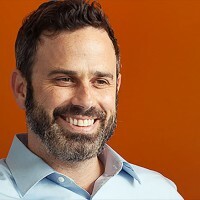 Post-government, and after an enriching fellowship with the Urban Land Institute in 2014, Gabe joined Fontinalis Partners as a Special Venture Partner on their $100 million 2nd fund. Gabe also advises governments and companies worldwide on innovation in cities including Singapore where Gabe has been a visiting fellow for the Centre For Livable Cities, working on creating a “car-lite” city-state. In 2015, Gabe published Start-Up City with David Vega-Barachowitz and Island Press, a manifesto on revamping how (and how fast) we innovate in cities and rethinking public-private partnerships with a triple-bottom line approach as technology shapes a dramatically different future. Gabe sits on the boards of Streetsblog, Carma, and advisory boards of NACTO, Sensity Systems, Zendrive, and advises next-gen start-ups including Phone2Action and Transit Screen.